Consider leaving some of the raw chocolate white and setting it aside so you have more decorating options. 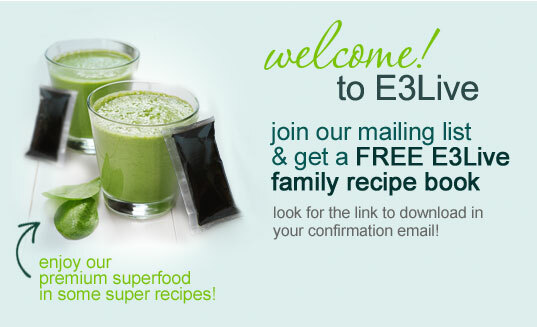 Also, make sure you use coconut butter, not oil! Whisk all ingredients (melted thoroughly) in a bowl until smooth and shiny. 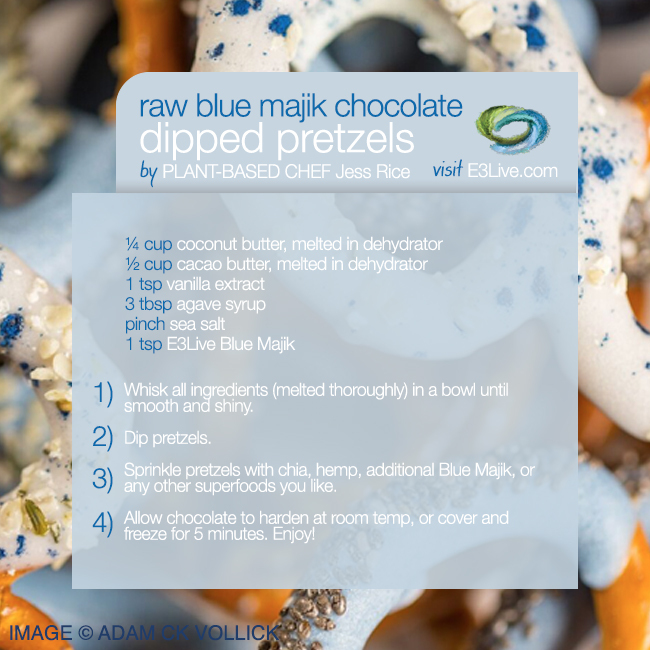 Sprinkle pretzels with chia, hemp, additional Blue Majik, or any other superfoods you like. Allow chocolate to harden at room temp, or cover and freeze for 5 minutes.